Ameya's Blog | Just want to hang around . . .
Just want to hang around . . .
After some quarter year I’m back now !! I was busy in the new phase of my life. I was hired by an IT company in pune. So I was unable to bring something new for you. Now as my training is over and I’ve time for blogging. The new experience is not only about the IT company but the life in IT industry. The fresher is the most important source of an IT company for various reasons. Before getting into this section, it is recommended that you have a proper understanding of pointers and class inheritance. Static Polymorphism: Any entity in which can exist in different physical forms at the same time. As the different types of parameters are specified in declaration of function so calls can be made at compile time. Number, type, and sequence of parameters declared for each form of the function will decide which function will get called. This is also called as Early Binding. In the above example if we pass 2 integers then the first function will get called and if we pass 2 float values then the second function will get called. Dynamic Polymorphism: When any entity change its form depending upon circumstances then that kind of polymorphism is called as Dynamic polymorphism.A function is said to exhibit dynamic polymorphism when it exists in more than one form, and calls to its various forms are resolved dynamically when the program is executed. This is also called as Late Binding. We come across many short words these days while chatting on internet or using twitter. Sometimes we understand what the person is talking about but sometimes we just don’t know the meaning of that short word or may be the long form of those short word and we feel awkward to ask the person the long form. Here are some short forms which I came across and sharing with you. ONNA – Oh No, Not Again! Nowadays when the person completes its graduation then he/she wants a job or internship. Many people or students do work in the summer holidays as they complete the session which will help them earn and learn something. So to land onto a job or internship we try our every single contact which we have and tell them so that we can earn something and will remain out of home for a valid reason. This time we will try something different for the job/internship. I suggest we can use social media or social networking efficiently so that we can have it. Companies, firms and businesses hire people via social network or at least they screen the candidate via social network. Recently I read news that a Businessman hired a person over the other just because he has talked with him on some social network site. Though all the people won’t do such thing but they can definitely use the networking site to screen that candidate. LinkedIn is a social networking site made specifically for professional life. We can say that LinkedIn is a combination of Facebook and Twitter but it has many specific tools that help us further our career. The first thing we need to do is sign up for an account to fill out our profile. After filling the complete profile we can make connections on that site. On linkedIn there is no concept of friends or followers we have to make connections over there and they are divided in First Degree, Second Degree etc. LinkedIn has a tool called as ResumeBuilder which takes all the information from the profile and builds resume for us. We can edit it as we want that means if we don’t want some columns in our resume so we can remove them. Another Tool is Career Explorer which is not only useful in finding your future job but also good for your life. Along with such powerful tools and functions some other functions such as wordpress, events, slideshare etc. are there which can help us to build the resume. there are so many people out there on these social networking sitesI just said about linkedIn here but there are various other social networking sites such as twitter, facebook, myspace which can be used for the above purpose. Social networking and social media sites has tremendous amounts of information. Most of it is publicly available. 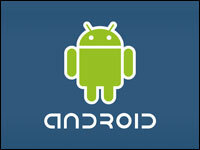 New search engines have been developed specifically to find information in Facebook, MySpace, Twitter, and LinkedIn. Many of us are going to get a job now or then so we can use various other tools around us to get to our goal. As always all the social networking sites are free. So we can make use of all of them very properly. As the telecom technology improves the speed of Internet also increases. At the first we can only communicate within the restricted area and campus. But then we can communicate with the whole world with the help of wired internet or wireless internet. Then we have 2G wireless internet. Nowadays we has 3G wireless internet and the Broadband Wired internet with the increased connecting speed, browsing speed and downloading speed. We can now watch live TV on the go with the help of 3G services we have. There are various other sites and applications which allow us to watch TV on the go or watch live streaming of a Football or Hockey Match. YouTube has announced YouTube Live, their new live streaming product. They’ve introduced a new browse page specifically for Live, where you can see an overview of the most compelling live events being broadcasted at any given moment. YouTube has started rolling out its live streaming beta platform, which will provide qualified YouTube partners the capability to broadcast live video via YouTube Live in the coming months. The platform will likely be rolled out very slowly to keep everything running smoothly without any problems. Youtube allows its users to upload the videos of 10 minutes though the number of videos is not restricted but the length of video is restricted. Now youtube is changing that they have increased their maximum upload limit to 15 minutes. The 10 minute limit was imposed to stop the piracy. It made the things difficult for the users though 15 minutes will not change condition more. Now 8 days have been passed after the tsunami hit Japan. People showed lot of courage after the tsunami and earthquake of more than 9 Richter scale. They never behaved like a Hippocrates where they should have behaved like it. But they kept their calm and cool to support their country their government started rescue operations in different parts of country affected by the tsunami and quake. We must salute their courage. In this disaster where more than 16000 people are reported missing and died and official number is 6400+ are already dead. The question is Will it affect the world? But this is not main problem. As Japan is the world’s 3rd largest economy in world, various countries depend on them. In fact various other economies depend on them. The largest hit sector is automobiles and IT. According to the sources as their electricity supply broke down due to the failure of their Nuclear Power Plants. Almost all the nuclear power plants were shut down. Some of them exploded and radiation started from them. The radiation reached almost 300 miles away in Tokyo. As said earlier in this post the largely hit sector are the Automobiles and IT. So according to the sources Honda halted production in their plants in Japan and can’t restart work their till Sunday which is now extended to Wednesday. Honda has told their dealers in US that they can’t start working in full fledge till the first week of May. Toyota and Nissan are also facing the same problem. They are unable to start production due to lack of fuel, power supply, raw material and the labours. The main thing to concern is that Japan is the main supplier of many electronic raw materials to the world. They supply worlds 57% of quota of various chips which go into the mobiles, cameras, laptops, computers, tablet PCs etc. Apple may face shortage of some parts of its new iPad2. And the same fate is followed by Sony, Hitachi. As the world is already under the crisis of increasing cost of Crude oil this 9+ Richter scale rocked the world. This may lead Japan to recession and slow the global growth. As Japan is dealing with the nuclear breakout since Chernobyl and loss because of earthquake we can just hope that the effect of all this on the remaining world will be just Limited and Small. Let us pray for the victims of this Disaster and Hope that Japan will come out of it Quickly. Finally Apple Inc. launched the second version of iPad the most sold tablet PC. Yesterday (2nd March ’11) at Apple Spring Event CEO Steve Jobs unveiled the iPad2. Basically I will say that Its just the old iPad with some new features and updates. 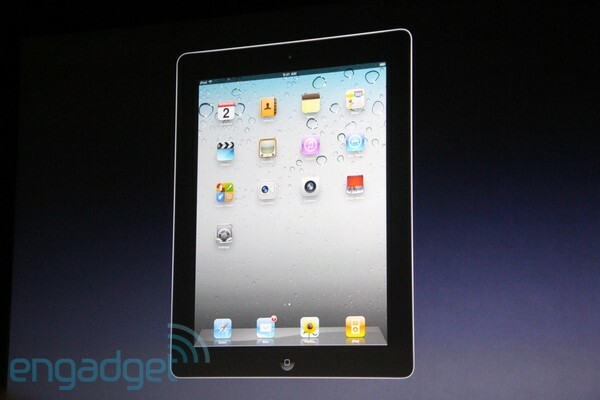 Now coming towards the iPad2 the look is same that means its the same old iPad with some new interesting features. 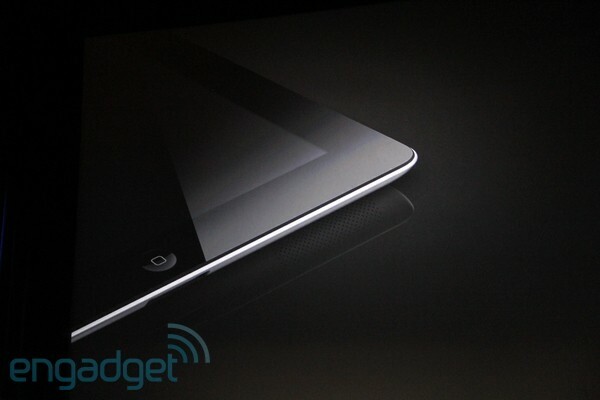 It is 33% thinner than old iPad 8.8mm and 15% lighter than old iPad. It has LED backlit display touch screen of size 9.7 inches which allows multi-touch. It Has 2 cameras one is front facing VGA camera and other is back side of which resolution is not provided. It supports HDMI TV cable output. It has the powerful A5 dual core processor chip which helps in easy and fast Multitasking. 2X faster CPU and 9X faster Graphics. The new operating system iOS4 (Freely updated to World’s most advanced OS 4.3) is loaded in it. There are almost 65000 apps in iStore. It has Wi-Fi and 3G so that you can connect to the web. Airplay to stream your photos videos and movies wirelessly on TV. There are some interesting apps installed in iPad2 some are photo booth, iGarage etc. it has new magnet case (magnet grasp) we can use it as stand and cover too. it comes in 2 colors black and white. Another feature is this can be charged via HDMI cable. And it will be launched in 26 countries (from Europe and America) on 11 March. For Indians you have to wait for it for 3 to 4 months. 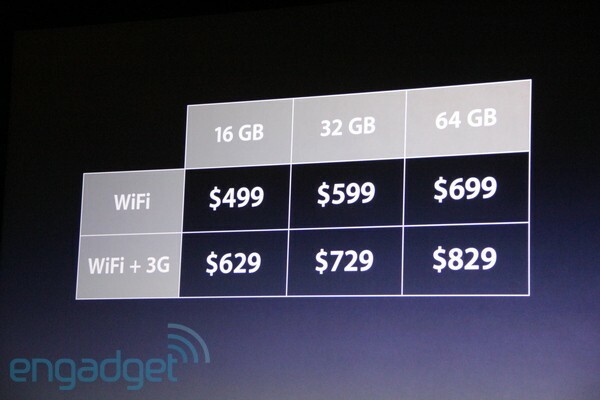 Now about pricing its the same old price just like the look it comes in 16GB, 32GB and 64GB. The pricing starts with $499. Technotix-11 is the annual function of Umrer College of engineering, Umrer held on 22nd and 23rd of February 2011. There are various interesting events held under Technotix-11.